There are as many kinds of vacations as there are types of vacationers: in other words, infinite. Some people take time off work just to sit in their pajamas and binge Jane the Virgin or Game of Thrones for a week straight. Others prefer the all-expenses-paid cruise that plans out every detail of the itinerary. 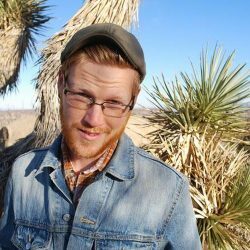 Others still go out and hike the Appalachian Trail. There’s no one-size-fits-all way to unwind. We know that what feeds an extroverted personality may overwhelm an introvert, and what seems like a boring day to a hyperactive child may, in fact, be a rigorous workout for their parent. Since we appreciate every kind of vacationer, we try to make our trips as flexible as possible when it comes to activity levels. 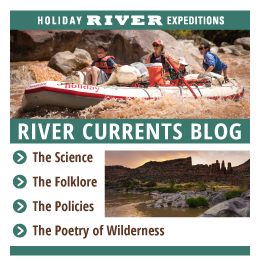 The baseline of a Holiday River trip is, for all its high adventure thrills, actually a pretty chill endeavor. 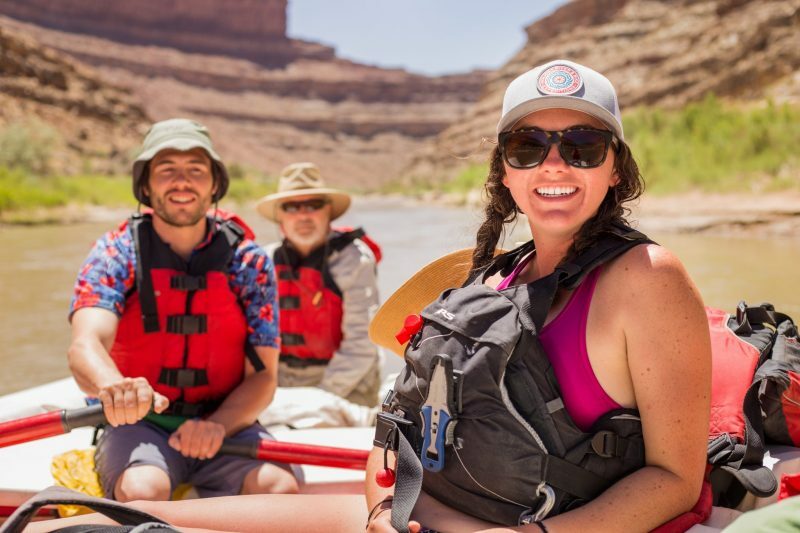 Our river guides will wake up long before the sun even rises to make you coffee and breakfast, and they’ll keep doing nearly everything for you until you head to bed that night. Our guides will do the dishes, row the boat, toss you a beer from the cooler, unload the boats, and even set up the latrines for you. In short, a Holiday River trip can be the high adventure version of the pajamas/Netflix vacation, if you want it to be. However, we are just as committed to challenging our guests who want to be challenged as we are to comforting those who want to relax. So, we’ve built in ample time and opportunity for extra group or solo activities that can get your heart rate up! There are countless slot canyons that branch off from the main rivers that we run. 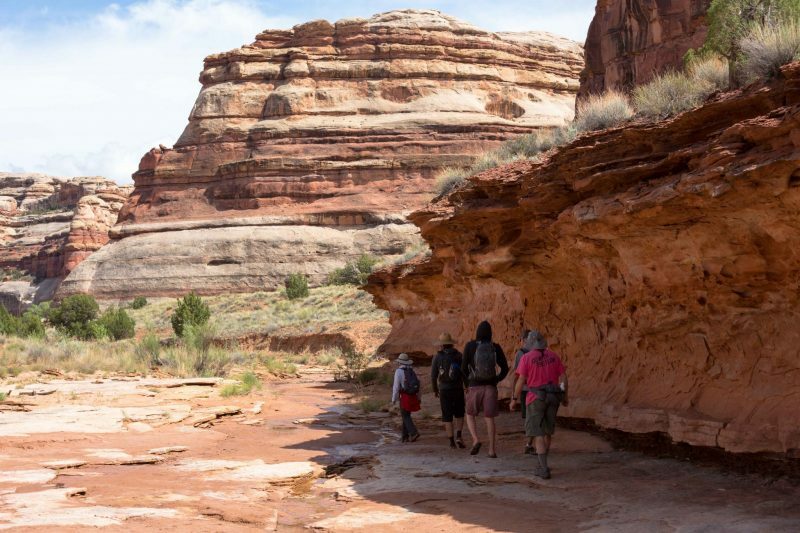 While the sheer, enormous red rock cliffs along the major rivers are a spectacle to behold, there is nothing quite like getting up close and personal in the desolate narrows. You might find ancient fossils, rock ponds, great horned sheep, bones, petroglyphs, and all kinds of other wonders! Just make sure to tell your guides where you are going, when you’ll be back, and as always, use the buddy system. 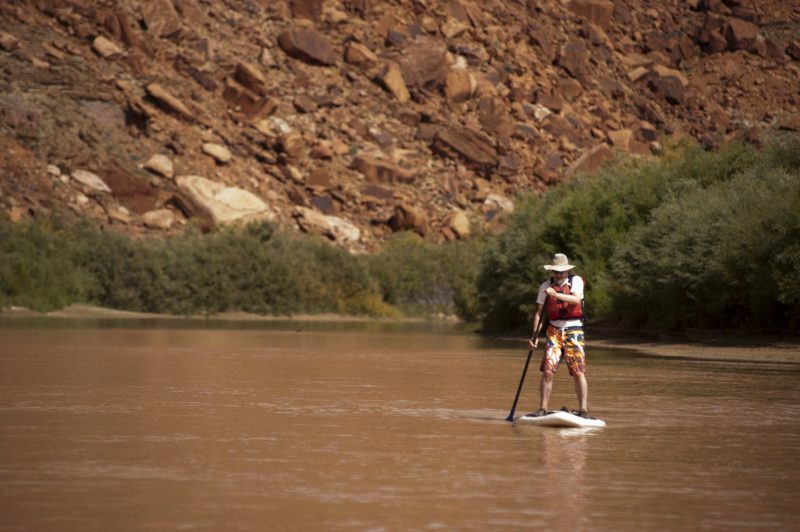 You’ve seen them before, the stand-up paddle board people. They cruise along the calm waters of lakes and rivers like stoic demigods. How can they stay up there? you think. Well, it might not be as hard as you think. Get out of the boat and onto a board on the calm parts of the river and see if you can keep up! 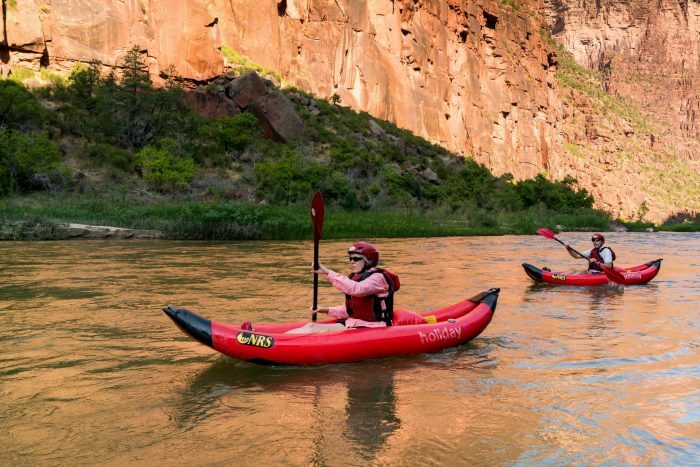 It’s a great workout, and a truly majestic way to experience the river. The guides can make this one look easy. They row your boat all day long, without a heaving breath or a single groan. But, don’t be mistaken, these boats are heavy. Take to the rower’s throne in the middle of the boat to see for yourself. Learning how to row can be the perfect challenge for an energetic kid, too (and it’s a great back workout)! Our riverside campsites tend to be large, sandy, and full of amazing, serene views. They’re the ideal places to roll out your yoga mat and do a few sun salutations. Practice a few poses between the morning coffee call and the breakfast, or while your guides are cooking the dinner. It will help loosen up your bones and muscles after (or before) a long day on the boat. 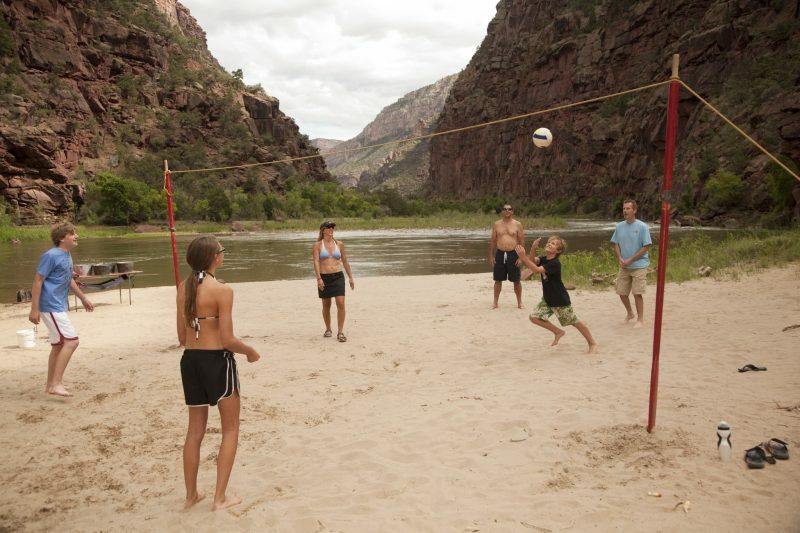 Speaking of the amazing beachside camping, you can get out a volleyball and even set up a rustic net using the boat oars for a group game of volleyball. It’s a great way to get out your extra energy before dinner, and it can also be a healthy way to release some of your competitive spirit! Holiday will usually bring a few inflatable kayaks along on any river trip. They’re a great way to get some alone time on the river, and they’re a gentle, fun sort of workout for your back and arms. (Almost) anything else you can think of! Maybe you know a really awesome calisthenic workout that you’d like to lead for your fellow boaters. Maybe you enjoy swimming upstream. Maybe you like to stay active by taking long walks. 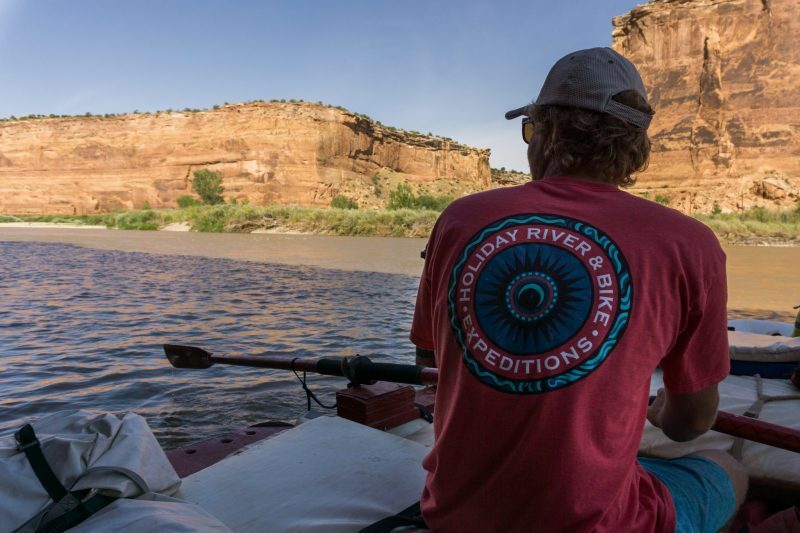 Whatever it is, you can probably find a way to do it along the river, as long as you consult with your guides first. Just remember, even with all of the awesome luxuries of a Holiday trip, we are in the backcountry, and the hospitals are far away! So, try to keep it to like a 5 or a 6 on the intensity level. You’ll get plenty of adrenaline on the rapids anyways, we promise.